Ordsall Hall is a historic house museum and garden, wedding and meeting venue dating back over 820 years. We are near to Salford Quays and Manchester City Centre and are open to visit from Monday - Thursday and Sunday afternoons. We don't know exactly who this enigmatic figure in white is, but most say that she is the spirit of Lady Margaret Radclyffe, who died, broken hearted, in 1599 after the death of her beloved brother Alexander. A young girl is said to roam the Hall - especially when there are children and school parties around. It is said that you can tell she is there by the sweet smell of roses in the air. Said to inhabit the Star Chamber - this former Lord of the Manor is said to be very keen on the ladies! Female visitors have reported his rather boid advances on many occasions. 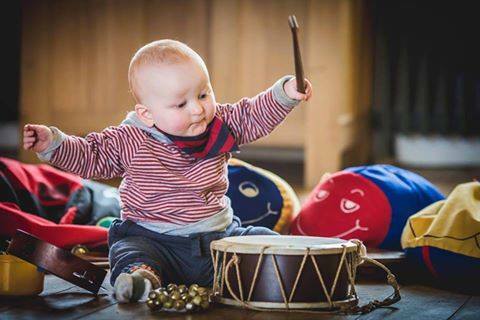 Special story-rhymetime sessions for young children and their parents and carers in the beautiful surroundings of Ordsall Hall. Listen to wonderful stories together, have fun singing songs and rhymes, make simple crafts to take home, play with our toys and percussion instruments, meet other parents and carers, explore the building and gardens and stay for a coffee and a chat in the cafe afterwards. Sessions take place every Wednesday from 9.45am. Everyone welcome, no booking required.